With CLS's worldwide network, there is no need for you to make numerous telephone calls or set up accounts with various companies. One call is all it takes to book safe, dependable, and comfortable transportation, regardless of where you travels take you. We want to make your workday easier and hassle free with our wide array of limousine corporate services. Your next business conference, major corporate event, or board meeting doesn't have to be a logistical nightmare. Our chauffeurs come aimed to please and we understand the value of prompt, courteous service. We have provided corporate services for the small business owner and corporate CEO's alike. Whether your corporate services are simply a trip to the airport or an executive outing in the city, you can depend on our experienced chauffeurs. At CLS we simply impress, from our chauffeurs, to our vehicles, to our outstanding service, your comfort, your security; your enjoyment is our number one priority. Our corporate services are not limited to VIP transportation to and from any venue, but services far and above our wishful competitors. We can provide travel planning and accommodations any where in the continental United States and worldwide. These services can include dining arrangements, entertainment wishes, sporting events, security needs, and other uniquely stated requests. You, the client, need only ask and the trained professionals at CLS will fulfill your wishes. Again, we consider every request seriously and will consult the hundreds of agents worldwide CLS has at its disposal to accomplish these requests. At CLS you save time because we are a one stop, one call, one bill organization, per example, we had a client request first class transportation from New York to Monte Carlo for he and his family. He wanted a private jet, hotel accommodations, ground transportation, security, and many other unique requests for the entertainment of his children while he and his wife enjoyed the country, and he met with corporate heads for work. CLS accomplished these requests and the client has repeatedly requested our services since. 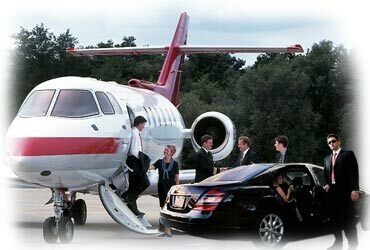 Heads-of-State, Congressmen, Senators, United States and foreign Government officials, Corporate Heads, Entertainment VIPs, and thousands of others have used CLS over and over again for luxury transportation and other services for themselves, their families, friends, and co-workers. If there are requests for services we have not discussed or noted above, please do not hesitate to ask, or bring them to our attention, we would love to hear from you.